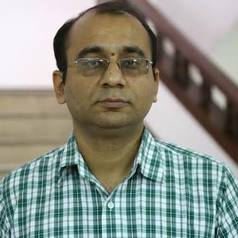 Dr. Pawan Kumar Taneja, is a policy analyst specialized in Management and public health system research working as Sr. Faculty (Finance & Operations Research) at Indian Institute of Public Administration, New Delhi, a premier training and policy research think tank under Department of Personnel and Training of Government of India. He holds Ph. D. in Financing & Operations Research, MBA in Finance & Operations, M. Com in Finance & Quantitative Methods, and PGDStat in Statistics and Data Analytics. He has also done Diploma Course on Leadership Development from MEASURE Evaluation, msh (Management Science for Health) funded by USAID and Certificate Course in Global Health from Johns Hopkins Bloomberg School of Public Health. He has more than 18 years of rich varied experience in teaching, research and industry. He has coordinated more than 25 operational research projects in the areas of management of Public Sector Enterprises, healthcare financing, climate change and healthcare, Skill Development and Disaster Management supported by UNICEF, WHO, HLFPPT, Plan International and Government of India etc. At IIPA, Dr. Taneja is also responsible building leadership training and capacity building of National and International Civil Servants and public sector enterprises managers. Previously, Dr. Taneja has worked with Indian Institute of Health Management Research, IIMT, Punjab College of Technical Education and visting faculty at Fore school of Management, ISTM etc.